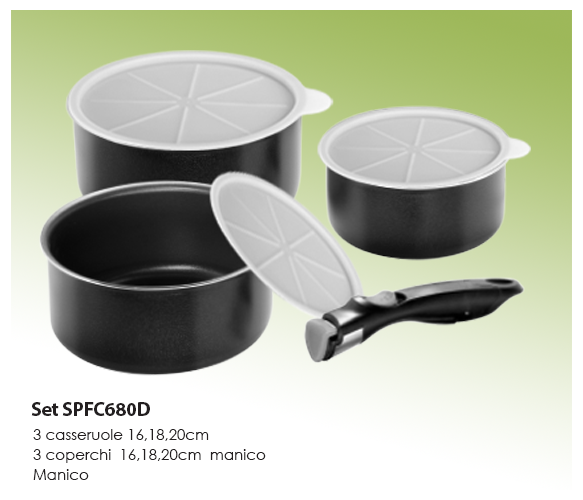 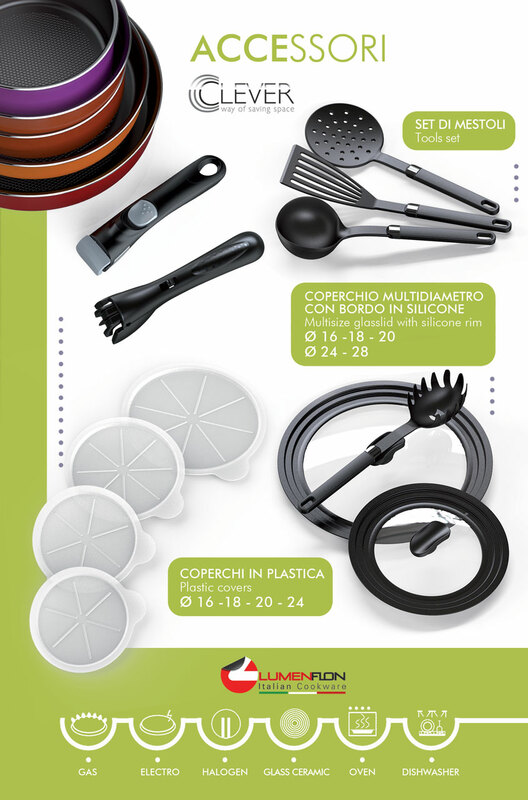 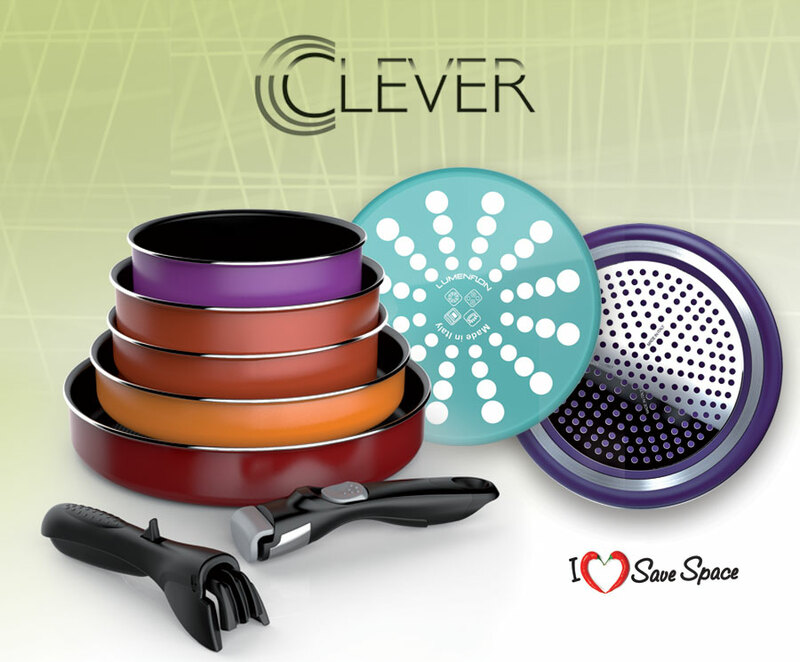 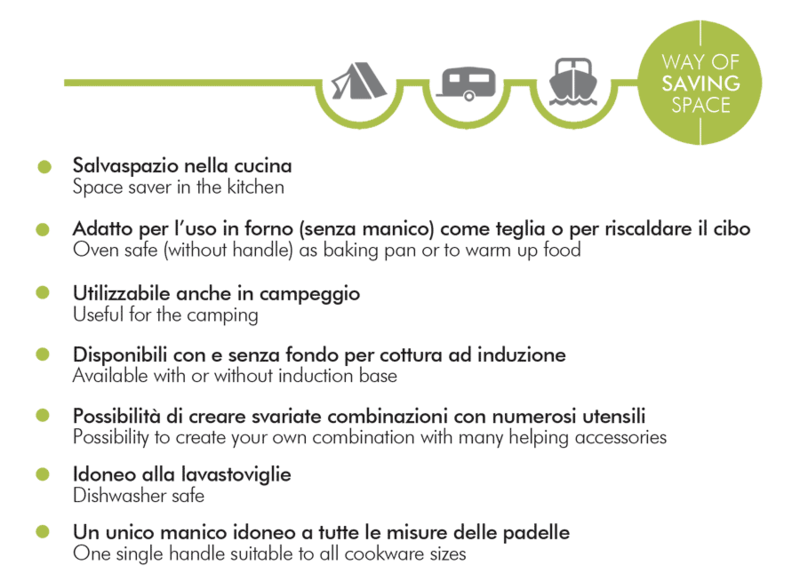 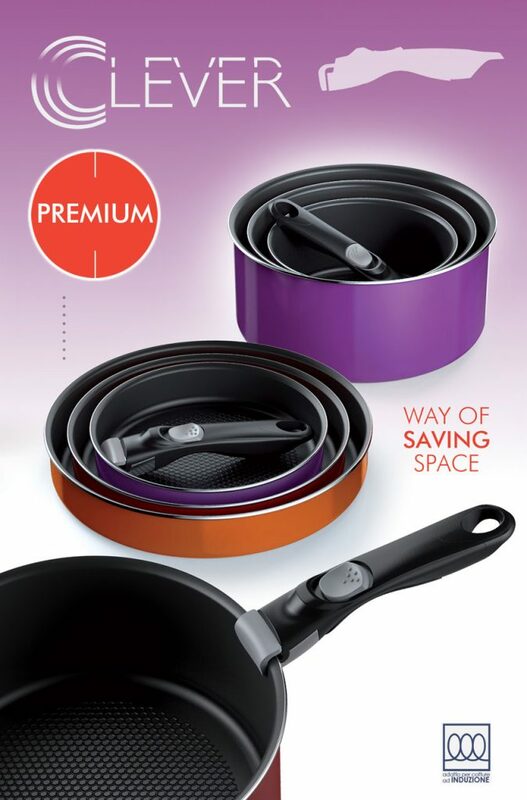 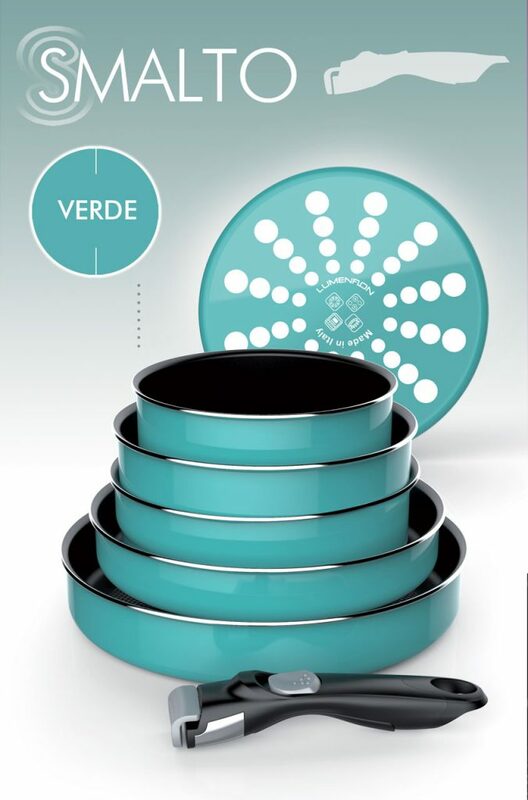 Set of items with a modern look that represent an intelligent solution for three main reasons: a single handle for several cooking pieces, multifunctional and above all Save Space thanks to their perfect stackability. 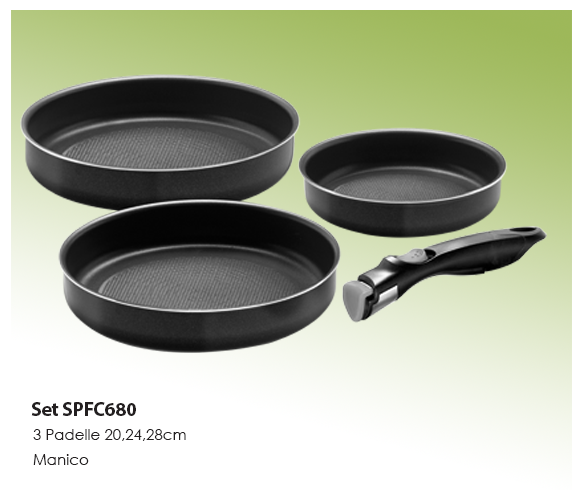 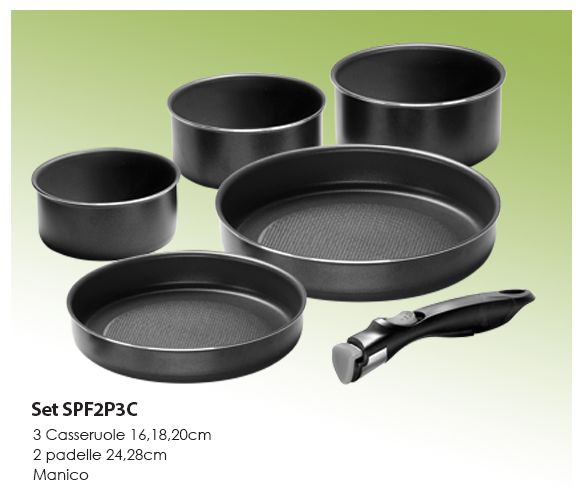 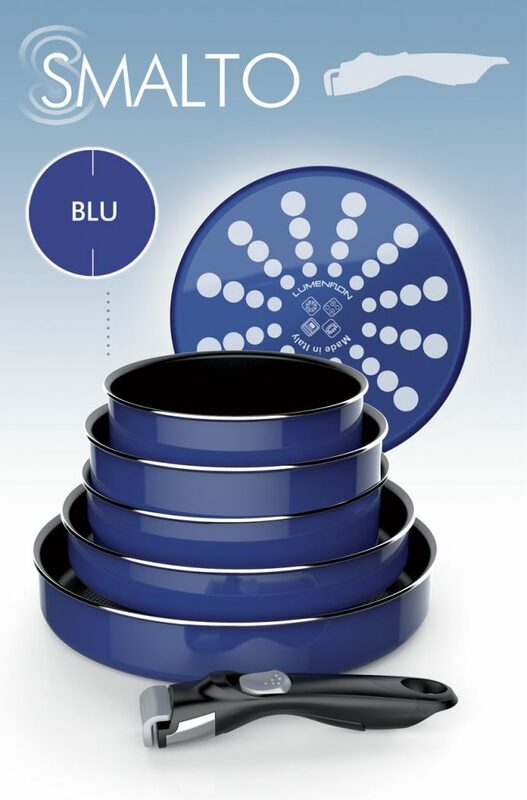 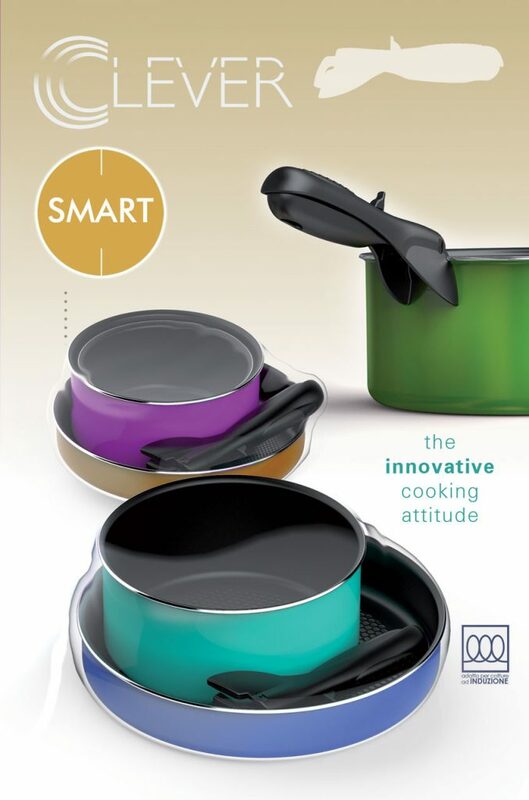 This range is presented with different Set solutions and is suitable for use on all cooktops including induction. 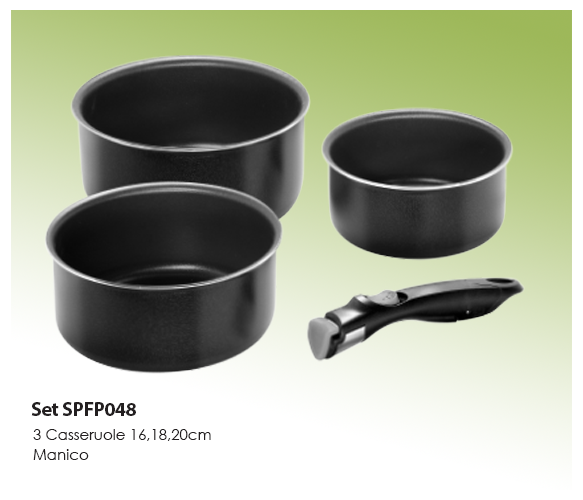 The characteristic of the sets makes them particularly suitable for also the camping use. 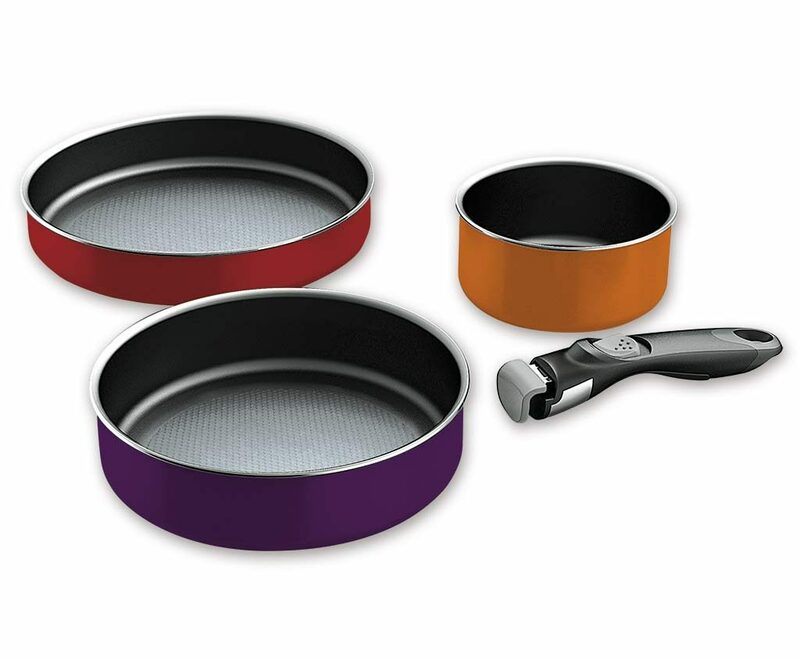 The sets can be completed with various complementary accessories such as kitchen utensils or airtight lids to allow them to be used also as recipient to store food.